I love books. And, normally I’m one of those late adopters when it comes to new products, especially electronics. For me any new invention or innovation has be tested, used, abused and given a certain length of time to discover any life threatening properties before I’ll try it. That’s why it’s a bit surprising that I was one of the first to get the new Kindle 3 – the slim delicate one that lets you read outside. The battery seems to run forever without needing a charge. You don’t even need to bring the charger along with you on a trip which is very impressive. It’s small enough to slip into a purse without adding any bulk or weight. That makes traveling with Kindle much simpler except on a plane. 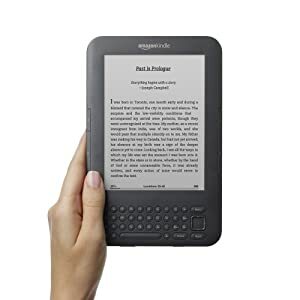 When going through security, Kindles are treated like electronics and the flight attendants make you turn it off during take-off and landing. You can find hundreds of classics from Amazon for less than a dollar. It’s so easy to fill your Kindle library by downloading for ten dollars recently published books, and everything else costs even less. There are other ways of finding pre-1922 books, but it takes quite a bit of searching to find the best edition, and more software to remember and manage. It just doesn’t feel right. That visceral sense of reading a book is completely lost. With Kindle there’s no physical perception of how long, how important, or how old the ‘book’ is. Sure, there’s a numerical sizing system with Kindle, but how long is a 10,000 unit book? With Kindle, the books are imaginary just like the characters and story. There’s really not much need to go to a bookstore or a library anymore. Wandering the bookshelves and picking through the discount table appeals to me as a reader. It’s as though I think something serendipitous will happen and just the right book with jump out at me, demanding to be read. After I finish the stack of paper books I’ve already got, I suspect I’ll be mostly a confirmed Kindle reader. I just wonder if in ten years time they’ll discover that the electromagnetic waves emanating from the Kindle alters the structure of your brain or ruins your eyes. I guess that’s the price of progress.